As the opera posts tend to get lost on the What Are You Listening to Now thread, it being something of a minority pursuit on this site, I thought I'd add one for opera in this sub forum. Today I have been listening to Verdi's I due Foscari. 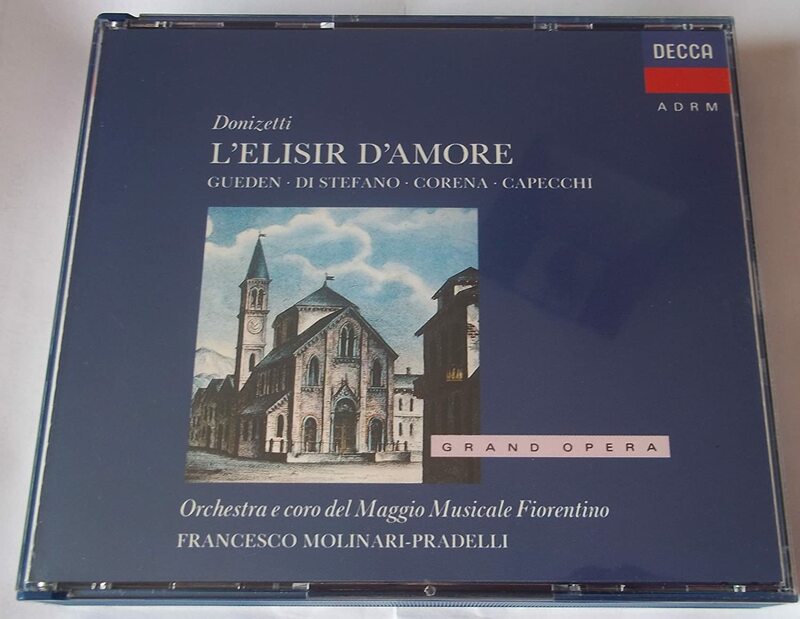 A splendid recording of one of Verdi's more interesting galley operas. Here is another rare Verdi opera, which I havent seen yet, but plan to sometime this week. The youtube link went dead. This should be a fun moment for all the GMG Verdi's fans (This video may not last real long). Edit: Just watched the first act during my lunch break. It is quite nice: the production is very pleaseant, the singers diction is clear and the music has Verdi's golden touch. I prefer it to Giovanna d'Arco (Joan of Arc) composed just before in 1845, which is the only Verdi's opera which I considered (almost) as a flop. That's a good idea. Maybe one of the moderators could pin the thread, so it doesn't slip down? 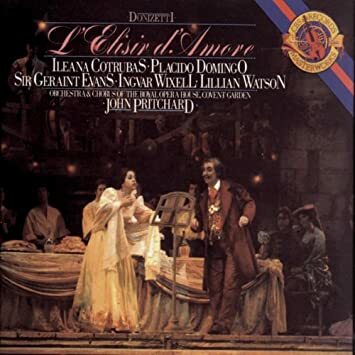 Sticking with Verdi, I move on to Ernani, in this 1967 recording, which still stands up pretty well, though the upper voices make more of an impression than the lower ones. Sereni and Flagello have agreeable voices, but both lack authority. 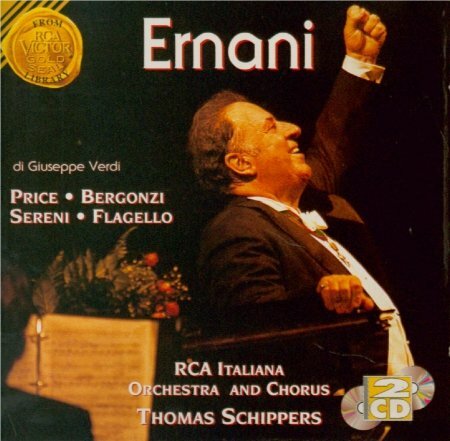 Bergonzi is possibly a little light of voice, but he compensates with phrasing of distinction and singing of great beauty. Price also sings with great beauty of tone, her voice at its early career best. Is it a little churlish of me to point out that a little more flexibility would be desirable in this early Verdi role? One only has to listen to Ponselle, Callas or Sutherland in Elvira's Act I aria and cabaletta to hear what real trills and staccati sound like. It is none the less one of her best recorded roles. Schippers conducts with clarity and rhythmic vitality. 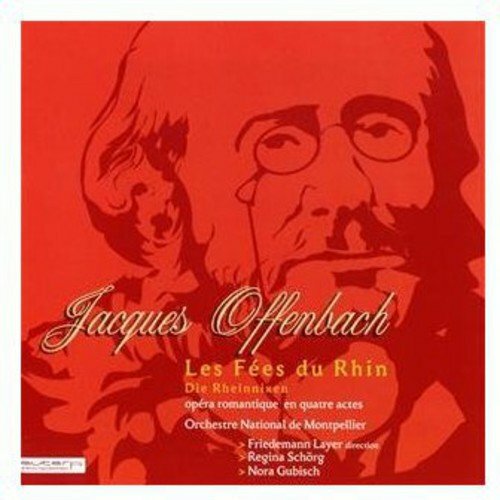 Listening to acts 3&4 of Offenbach Die Rheinnixen"
This opera is Offenbach at his best. A lot of melodic and harmonic creativity in this work. Because Offenbach was in part an autodidact (as Mussorsky) there is a great deal of freshness in the musical writing. There are some influence but they seem to evolve as the opera proceeds: in the first two acts I thought of Mendelssohn music while in the second part Verdi influences seem quite percertible. It is also a profoundly European work were pan-european love triumphs over the german nationalism. Kunde, Claycomb, Jeffery, Coleman-Wright, Relyea, Cals, etc. I think this thread is a wonderful idea! 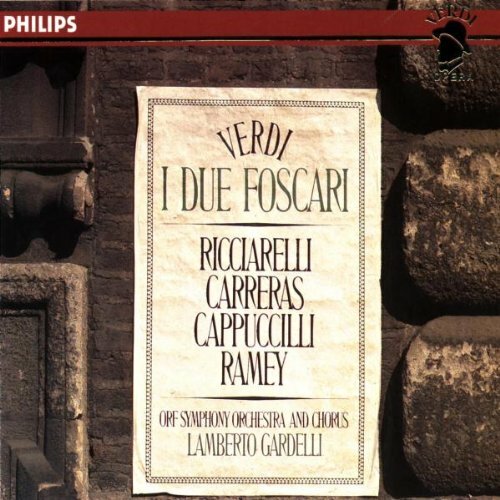 And though I am by no means an opera buff, this recording of Verdi's I Due Foscari is actually one of the first opera recordings I ever bought after attending a live performance as a teenager. Ha, this thread popped up at a rather appropriate time as I'm having a bit of an opera phase right now. Again on the Met's Sirius/XM channel, a 1985 Idomeneo with David Rendall, Benita Valente, Frederica von Stade, and Hildegard Behrens, Jeffrey Tate conducting. Love having this thread as well, thanks for starting it! Saw Massenet's "Werther" on stage at Zurich opera last night, was exhausted after work, but wow, this was a near-epiphany! Juan Diego Flórez IS Werther, really! The moment he enters is amazing, he really owns the part! The production is great as well, really working in a way that the whole thing is great theatre (not just great music in a - more or less - appealing setting). Anna Stéphany gives her role debut as Charlotte, and both her and Mélissa Petit's Sophie were up to the challenge that Flórez presents, and Audun Iversen's Albert was more than adequate. The orchestra, conducted by Cornelius Meister, was wonderful - transparent to the point of reaching a chamber-like lightness often. And did I mention how amazing Juan Diego Flórez was - seriously! First impression, half an hour in, is that quite possibly I will not need to look for another recording (the Sutherland/Pavarotti is the only other complete one I have). The music is wonderful indeed, there's enough melancholy and brooding in the comedy so it really does appeal to me, and the orchestration is so varied and colourful and so well done that I really love listening to it just for the thrill of discovering this little detail here and that nice touch there. Pavarotti was always good as Nemorino, but I find Sutherland a bit po-faced as Adina. Was going to pin this, but another mod beat me to the punch! Looking forward to a rare Milhaud opera, La mère coupable ("The Guilty Mother"), produced by On Site Opera here in June. Saw this live! Great opera, great production, and the orchestra...just fantastic. Yes, Pavarotti is wonderful! But Sutherland, based on what rather little I've heard so far (there's lots more to explore in the Pavarotti first decade box of course), will not likely ever become a favourite of mine. Britten Peter Grimes Haitink 1992. With Sutherland, it can matter at what age you hear her. Her voice did not always age well, and you can hear it on some recordings more than others. When she was young though, she was as good as anyone (though diction was often an issue even then) and sometimes better. The voice and technique were stunning, that is true, and I do enjoy her Art of the Prima Donna set, for instance, but she is a singer who never really "speaks" to me, and even that recital I can only take piecemeal. I've tried and tried, but I can think of very few of the operas she sang that I don't actually prefer sung by someone else. Even in La Fille de Regiment which is brim full of breath taking vocal feats, the mushy diction drives me potty. Pavarotti, on the same recording, sings with a terrible French accent, but his diction is so good, you can hear just how bad hers is. I know it bothers most people a lot less than me, but it irritates me terribly and consequently I have very few of her recordings. Incidentally, on the live 1959 Lucia di Lammermoor from Covent Garden which made her a star, her diction is pretty good. Tullio Serafin was in the pit, so maybe that had something to do with it. He actually thought she should go on to sing more dramatic fare, and said he thought she'd have made an excellent Lady Macbeth. The voice was huge. Maybe she would have.